BlueStacks App Player is a freeware app for Windows PC that app allows you to run Android app's on your PC or Laptop.So if you want to run your favorite mobiles android app,s on your Windows PC then you have to install that app on your PC and enjoy full-screen gaming or social media experience on your PC or Laptop. Fantastic app for Android lovers who want to use at a time two type of OS on one PC Windows & Android they can install that app on there PC and they can used there Laptop as android mobile with wifi and user of BlueStacks more then 200 million people around the world having fun and enjoying full and HD screen gaming and connecting with the world with social media. Enjoy full-screen Android 3D gaming or massaging on Facebook or WhatsApp with super fast computer speed and easy to share pics from your PC and also you have access play store by entering your google id and download your favorite millions of apps on your PC. BlueStacks App Player Key Features. The fully customizable environment for PC. Google Play integration and support of access play store. Android Emulator supported with investment from Intel, Samsung, Qualcomm, and AMD. Layercake” technology enables even the most graphics-intensive games to run smoothly on your PC. 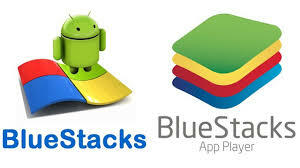 BlueStacks App Player Supported OS. windows all type of versions have supported it. BlueStacks App Player System Requirements. RAM must be 512 MB. 1 GB free space on your hard drive. MS Net framework 3.0 or higher. Java Must be install on your PC. 128 MB of Graphic card.